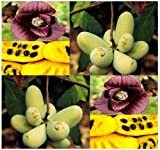 Pawpaw growing tree of the genus Asimina also known as Asimina triloba or Paw paw, Pawpaw deciduous perennial plant and used for the edible fruits, grow in temperate climate and growing in hardiness zone 6-9. Flowers small purple, separate times on the same tree female and male flower, the flowers are protogyny at first female and after become a male flower. What can be done with big quantities of Pawpaw fruits? How to make Vegetative Reproduction in Pawpaw? 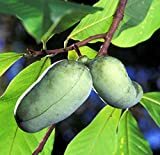 What is the treatment for vegetative reproduction in Pawpaw?